Discover the new Dunpets Colors refuge with editor! This time, instead of showing only some screenshots, we decided to publish a video about the new refuge and give more use to the YouTube channel. This is the first time that we show the game moving! We hope you like it. 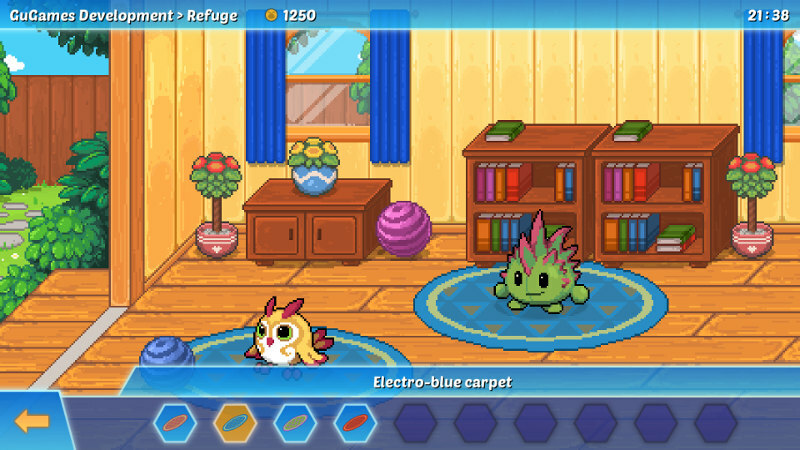 Originally, Dunpets Colors was designed to show only one Dunpet in the refuge, but we have been working to display the two creatures of our team simultaneously, and give it an even higher level of personalization than we showed previously. 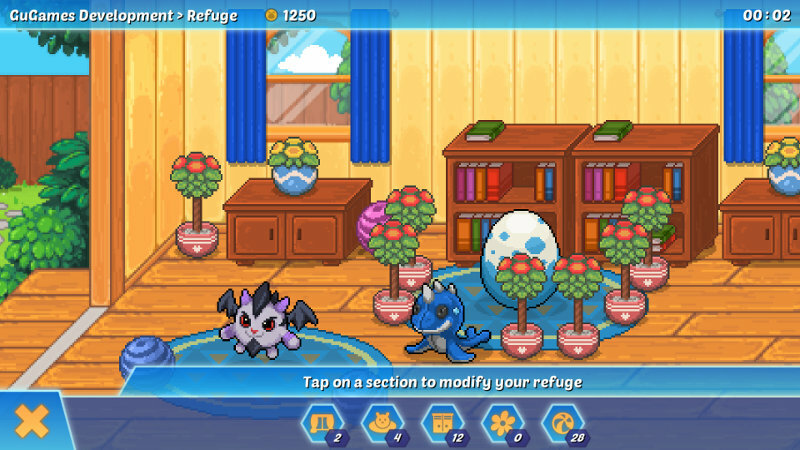 So we can edit our refuge with hundreds of different elements and show it to other players: the refuges will be public and we can visit them and even leave gifts for other players there. Take a look at what you can expect from this part of the game in the video above! The refuge editor's menu is divided into several categories to make decorating easier for us. We can quickly know how many items we have available at a glance. This menu is hidden if we move an element or place a new one in our refuge to facilitate the visualization. To place a new item, simply drag and drop it to the refuge from the menu. To move an existing element, we can touch it half a second and it will be held by our finger. If we want to remove something from the refuge, we will just have to drag it towards the top of the screen. What do you think about the new refuge? What about the customization menu? Tell us on social networks!